Is OM a sound? A feeling? A lifestyle? In Hernando County, Florida, it’s a place. The newly built WellCome OM Integral Healing and Education Center is announcing the anticipated Grand Opening of the first of three buildings to the public. 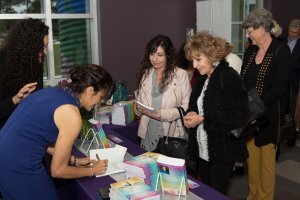 In early January, WellCome OM Center celebrated the book launch of Be Consciously Healthy with a private book signing featuring the founder, Dr. Maria Scunziano-Singh. 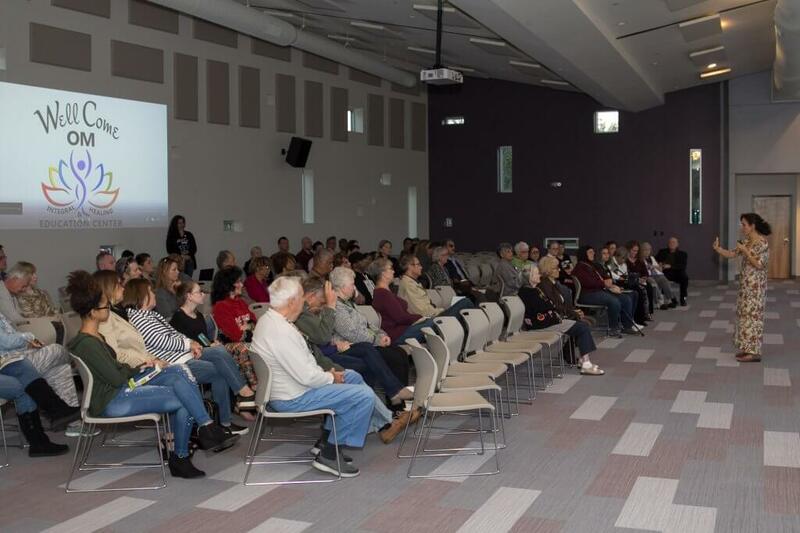 On January 25th, 2019, WellCome OM had the pleasure to meet the communities surrounding them by hosting a special “Good Neighbor WellCome” event. 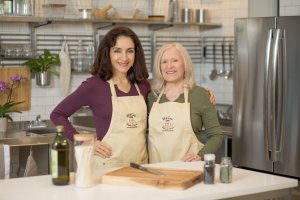 Lake in The Woods, Primrose and Regency Oaks communities were treated to a private evening of Center introduction by Dr. Maria Scunziano-Singh, and a meal tasting of recipes from Dr. Maria’s soon to be released “The Conscious Eat” Cookbook. 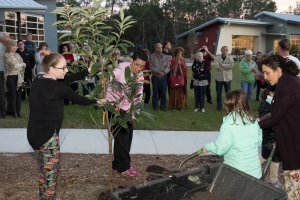 The event also featured a Loquat tree planting and dedication of an area in their future organic fruit tree garden and food forest commemorating this major milestone in the community. The Buildings have their own name with purpose. The “Awaken” building will be a place of movement with Yoga, Tai Chi and other forms of exercise. Future events to be announced as their schedule begins to trickle out to the public. The buildings are getting their final touches, the Awaken, Educate, Nurture and Heal buildings are scheduled to announce services to the public one building at a time. Come Awaken to your best life! The Movement Studio which will have its highlighted Public Grand Opening on Saturday, February 23rd from noon to 5pm, will offer Free Yoga Demo Classes with House of Light Yoga instructors, special introductory offers, and refreshments. Learn how to “Strike a Pose” and meet the Instructors who will be holding regular class schedules starting February 25th, 2019. Soon you will be able to Nurture from the inside out and attend a Conscious Cooking class in their fully equipped commercial demonstration kitchen. The “Educate” building will give the opportunity to attend a lecture, expo or event in the AuratoriOM which seats 300 comfortably, and last but definitely not least, the Heal Building will house skilled practitioners and therapies of Holistic Healing and Integral Medicine. The openings of each building with event announcements and treatment options will unveil on their Facebook page @WellComeOMCenter and also announced on their website www.wellcomeomcenter.com be sure to stay in the know and always remember you are WellCome at OM! For More Details on Yoga Open House click here.